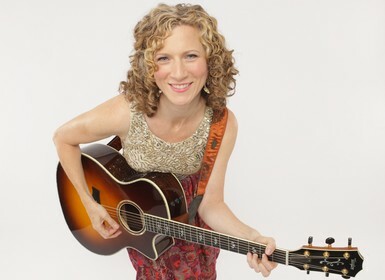 Bestselling, award-winning children's recording artist Laurie Berkner is widely recognized as the uncrowned queen of children’s music. Laurie's albums, released on her own label, have been best sellers on a chart typically dominated by movie soundtracks and major label compilations. Her debut DVD, which went quadruple platinum, was the first-ever indie children’s music DVD to enter Billboard’s Top Music Video chart at #1. Laurie’s tenth album, a two-disc set titled Laurie Berkner’s Favorite Classic Kids’ Songs, released in October 2015, sold in the top 10% of all kids’ albums in its very first week. Her latest album, Laurie Berkner: The Dance Remixes, was released in September 2017 to critical and commercial success.